"Using influence to promote a positive change. We all have a unique purpose in this world. This is ours." 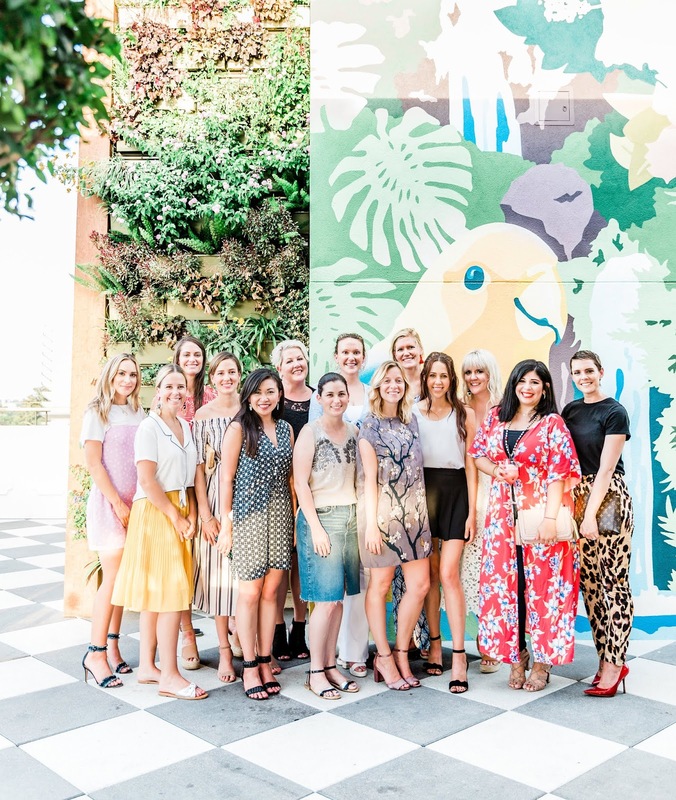 I joined the Savannah Influencers group two years ago and I could not be prouder of what we have achieved in just a couple short years. Don't mistake us for just a group of bloggers. We are a powerhouse group of women of all different backgrounds that have one common goal- We want to use our influence to make a difference in our community. One thing that never gets old for me is seeing Noah with the kids. There is something so special about all the love. 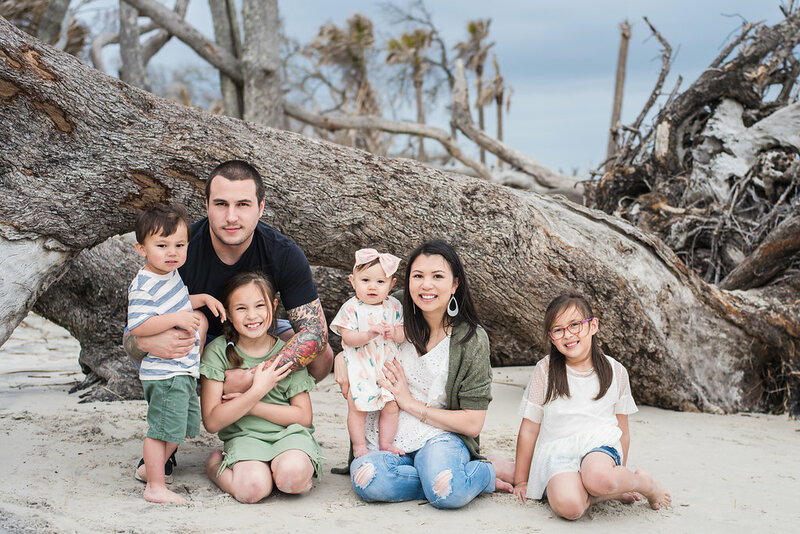 We were just two love birds and then we added our babies to the mix and that love has transformed into something so much more beautiful. All of our kids adore their dad like he is truly a super hero. He's always there to check for monsters at night and to beat up whatever is making the kids cry, even if it's a piece of furniture. He battles the dragon ("thunder") during rain storms and he's a jungle gym when the kids decide to pile on top of him. Noah is so hard working and he loves his family fiercely. I'm so proud of him. I'm so grateful to have an equal partner in parenting. I don't ever feel alone and I know I can count on him when I need help! I want to wish my man the happiest Father's day today and every day! We love you so much! My kids are out for the summer and weekends mean more to me than anything because as a working parent I don’t always get that quality time during the weekdays and work hours. I plan to do as much as possible during my nights at home, on my weekends off and also taking advantage of the little vacation days I have. 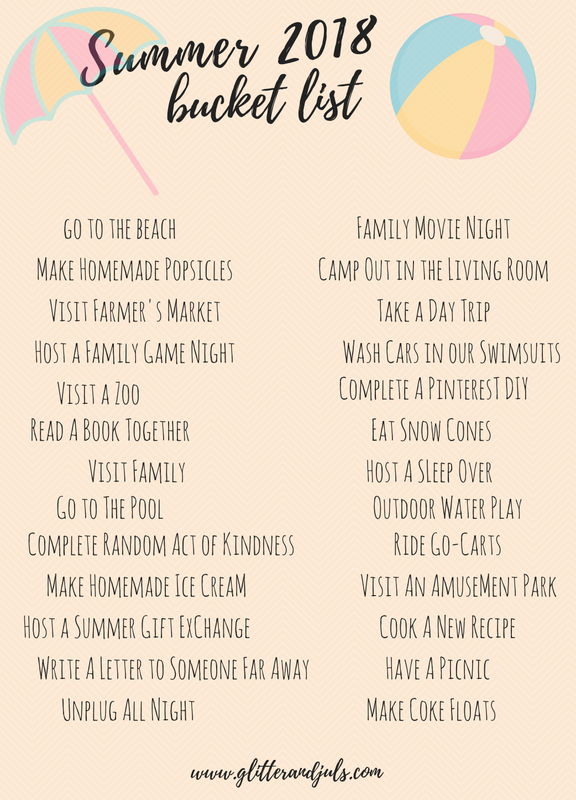 I thought it would be fun to create a Summer Bucket List so we can get in all the fun! I asked both my eight year old and six year old daughters to weigh in and pick a few things they want to do this summer. We had a great time dreaming up adventures. Here’s what we came up with! I love Ava's idea of hosting a summer gift exchange. We set it up for the girls and their cousins in Virginia to exchange summer-themed gifts valued at $10. They will open gifts when we visit during the 4th of July. I can't wait to help the girls pick out their gifts and see what their cousins pick out for them. I hope this bucket list inspires you to create your own. We have so many memories to make this Summer and I can't wait to report back and share what we were able to check off our list!